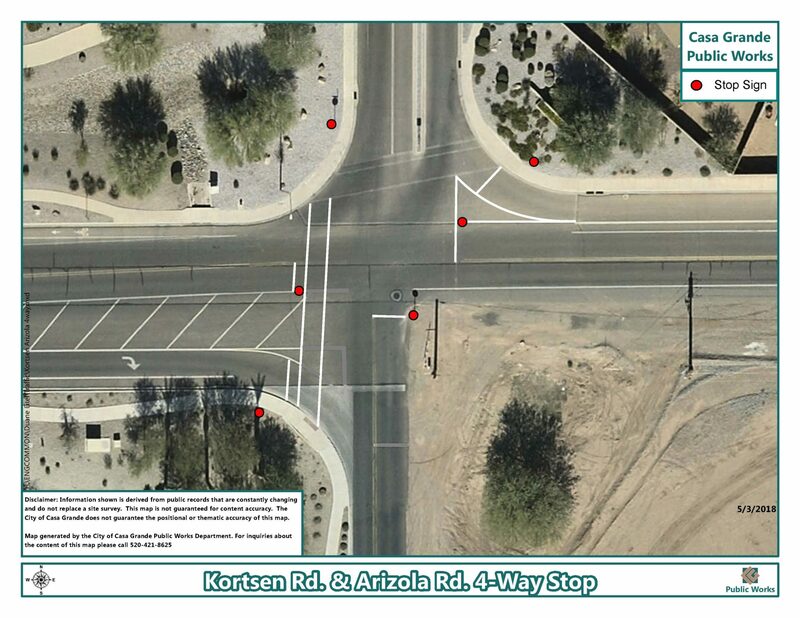 In an effort to improve safety at Arizola Road and Kortsen Road, the City of Casa Grande will be changing the intersection from a two-way stop to a four-way stop starting at the end of June. This change follows several resident inquiries and an operational and safety analysis of the intersection. 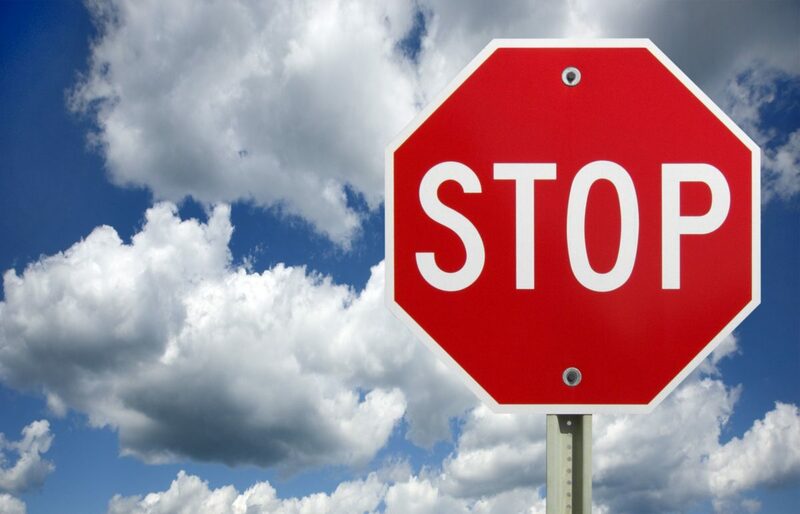 Currently, only traffic on Arizola Road must stop at the intersection. This traffic control change will enhance safety for motorists, bicyclists, and pedestrians. A map of the planned changes can be seen below, or downloaded here. Drivers in the area are advised to be alert of the changing traffic control measure. For questions or additional information, contact the Public Works Department at (520) 421-8625.